Texas A&M University's Parsons Mounted Cavalry (PMC) has been invited to ride in the 130th Rose Parade. COLLEGE STATION, Texas – Texas A&M University’s Parsons Mounted Cavalry (PMC) has been invited to ride in the 130th Rose Parade, presented by Honda, Jan. 1, 2019 in Pasadena, California. PMC, a special unit in the Corps of Cadets and the only collegiate mounted cavalry unit in the nation, is one of 18 equestrian groups that will participate in this year’s parade. With 50 cadets and 40 horses and mules, PMC will travel three days by truck and trailer to California to participate in the Rose Parade. They will ride along the five and a half mile parade route in Pasadena on Tuesday, Jan. 1, 2019. “We are thrilled that Parsons Mounted Cavalry has been extended an invitation to participate in such a prestigious event as the Rose Parade in Pasadena. This is a first for our Corps, and we are proud that PMC will represent the Corps of Cadets and Texas A&M University with pride and distinction in the Rose Parade,” said Brigadier General Joe E. Ramirez, Jr, Commandant of the Corps of Cadets. PMC consists of 78 junior and senior cadets and 70 horses and mules. Named after a former Commandant of the Corps of Cadets, Colonel Thomas R. Parsons, the horse cavalry unit consists of cavalry, artillery and quartermaster elements. Military horse training is used to teach cadets self-discipline, confidence, leadership and decision-making. 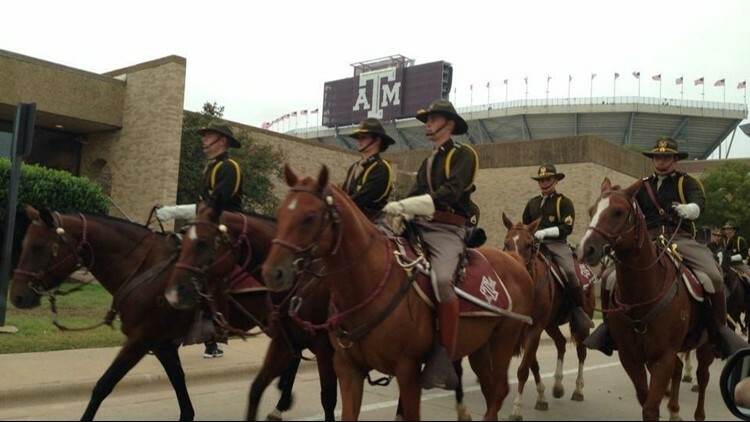 Parsons Mounted Cavalry has been in existence at Texas A&M University for 44 years and is the first special unit in Corps of Cadets history to be invited to the Rose Parade.